An Illinois manufacturer is bringing back the original Ford Bronco in small numbers. Ford’s classic Bronco is beloved by many. If you’re a fan of the Ford Bronco, then likely you’re anticipating the return of this small SUV in 2020. Sharing its platform with the Ford Ranger, the new Bronco will build on the success of earlier models, including the original, which was manufactured for 12 years from 1966 to 1977. The original Bronco was offered in three cab types: a wagon, a pickup (but only through 1972), and an open model with cut-out filler panels instead of doors, according to Hagerty. The most popular of the three is the first cab type. Ford may be returning with a new model, but that isn’t stopping some enthusiasts from snapping up the original. 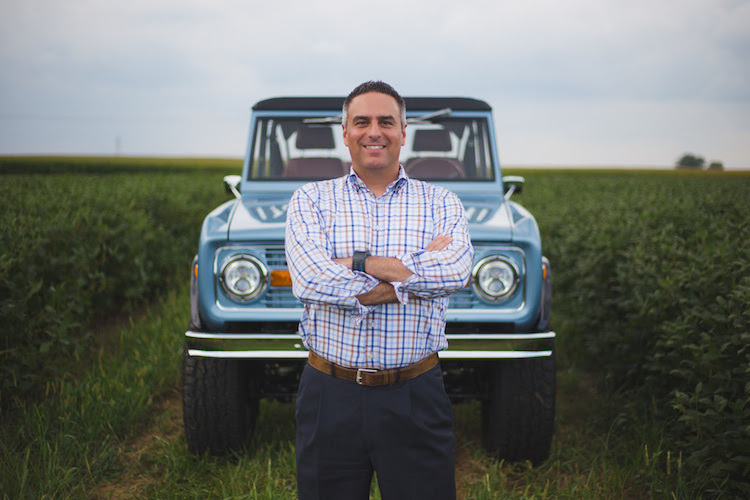 Speaking of the original, a company by the name of Gateway Bronco has received approval by the Ford Motor Company to produce original copies of the first-generation Bronco for customers under a special license agreement with the automaker. 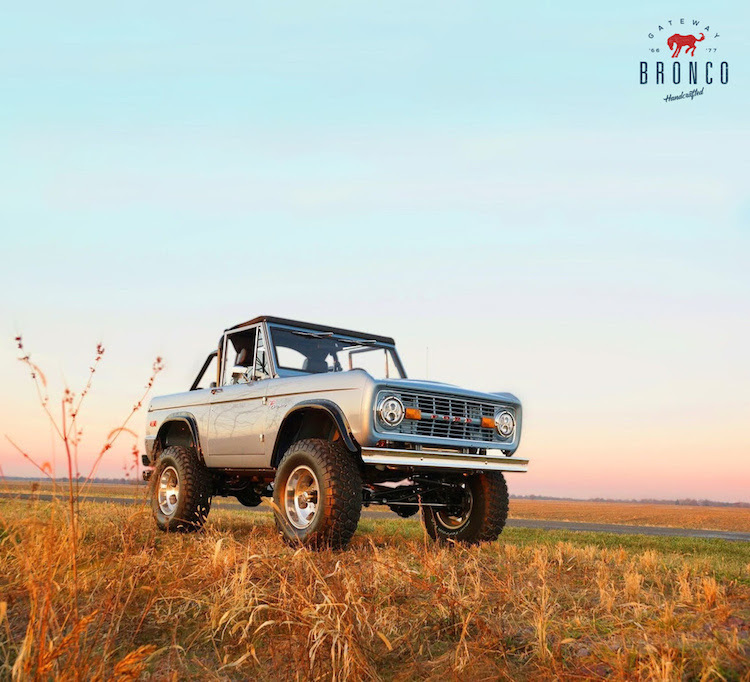 Based in Hamel, Illinois, Gateway Bronco is already a restorer of the original and will now create 1966-77 Broncos according to the Low Volume Motor Vehicle Manufacturers Act of 2015. That act allows manufacturers to build as many as 325 replica cars annually without needing to comply with certain NHTSA safety standards or pay for expensive crash testing. In effect, the act makes it possible for certain discontinued vehicles such as the original Ford Bronco to return. Gateway Bronco has the distinction of restoring the classic Bronco and delivering it to customers with an authentic Ford frame and original Vehicle Identification Number (VIN). Available upgrades include electronic fuel injection, a Porsche leather interior, and a barn wood bed. In fact, the company says that it offers “endless custom options” according to its website. Founder Seth Burgett stands in front of one of his classic Broncos. Under the agreement with Ford, Gateway Bronco will now go to the next step: offering what it calls “reimagined” Ford Broncos powered either by a fuel-injected 347 Stroker engine paired with a four-speed automatic or five-speed manual transmission or by a Ford Coyote 5.0-liter V8 engine paired with a six-speed automatic transmission. Further, the company makes improvements to the chassis for a smoother and more comfortable ride, adds sound deadening material, and takes special steps to thwart rust and deterioration. Customers will have a choice of three models ranging in cost from $120,000 to $180,000. Gateway is able to produce two to four new vehicles per month. Importantly, it meets the Certified Reconditioned Vehicle standards as established by Ford. Of course, if you own a classic Bronco, Hagerty places a value starting somewhere around $25,000, depending on the year and condition. A makeover can restore it to its original condition or in the case of Gateway Bronco, provide a fresh take on a cherished classic with either a complete restoration or an all-new Ford-approved model. Photos and video copyright Gateway Bronco.